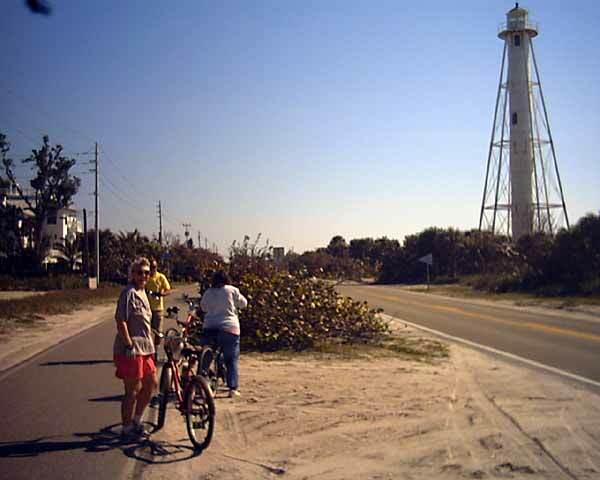 On March 18 we went biking at Boca Grande on Gasparilla Island with Ken and Phyllis Weber. 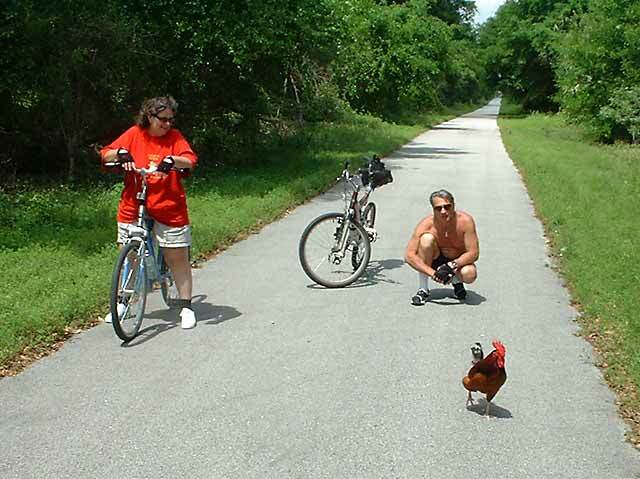 This is a 6.5 mile paved rail trail. We parked at the lighthouse at the south end and biked up and back. On April the 4th we left Ft Myers with Ken and Phyllis to start our summer trip. We were going to spend a few days biking in central Florida and then head for North Dakota.. We started by camping in Bushnell and biking on the General James A. Van Fleet Trail. This rail trail goes from Mabel on route 50 at the north end 29.5 miles south to Polk City. We did 20 miles. The campground we were staying at was right next to I-75. The last time we stayed there it wasn't noisy but this time they put us closer and we listened to the trucks all night. 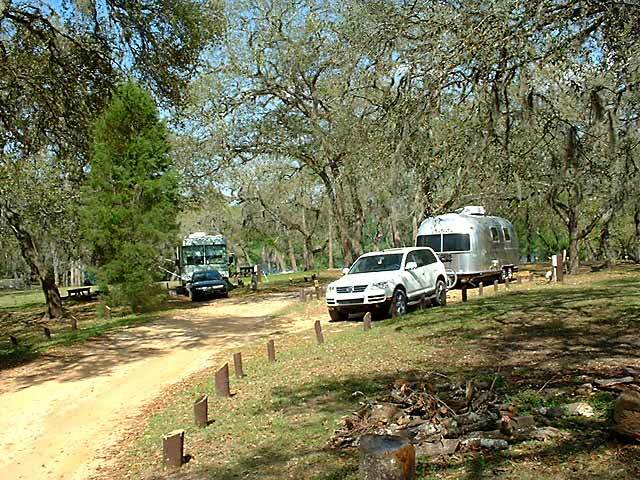 We decided to move to Silver Lake CG in the Withlacoochee State Park. We drive there and checked it out. It looked nice and there was openings (no reservations allowed). When we got there and set up we realized that the interstate was just on the other side of the trees. It didn't bother us as much as the other place. 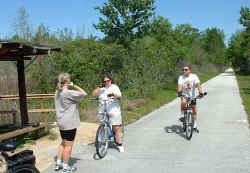 Since the campground is right on the Withlacoochee Trail we spent a couple of days biking there. 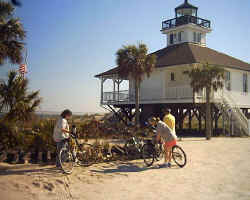 This where Judy hiked and biked with Joan Hobson in January. (see 2005 volume 1). 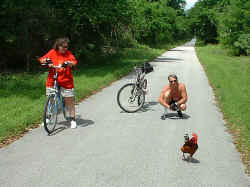 Kenny tried to talk to a rooster we met along the trail. On Friday, April 8, we started north and the Webers moved to Manatee State Park for a few days before they returned home. We are going to meet John and Adele in North Dakota so the girls can start hiking the North Country Trail.